A new Black Lightning comic book series is coming from the character's creator. A new Black Lightning comic book miniseries is on the way — and not only is it notable because it’s coming out a few months before the Black Lightning TV show; it’s also special because it comes from the creator of the character. 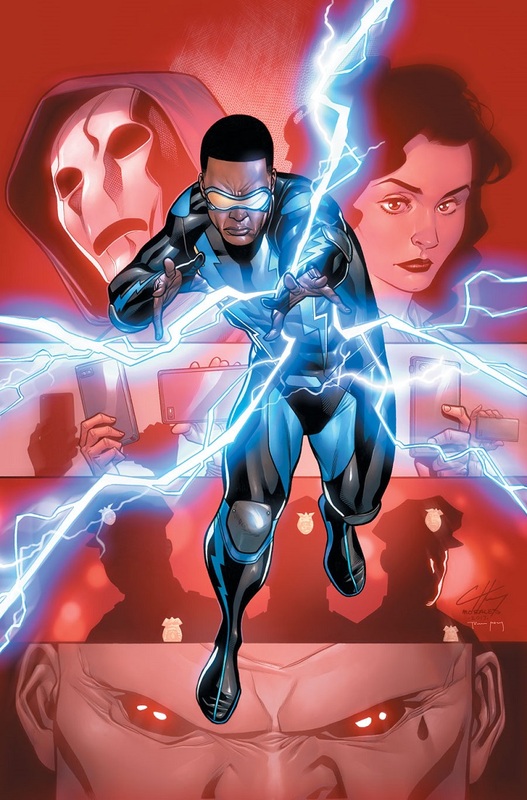 BLACK LIGHTNING: COLD DEAD HANDS is written by Isabella and drawn by Clayton Henry (Harbinger). However, don’t expect a throwback to Isabella’s previous time with the character. While the hallmarks of a good Black Lightning comic are all there, Jefferson’s gone through some changes. He’s still a teacher who works to be a positive force for his students both in and out of costume, but he’s younger than he’s ever been before—around 28 years old. He’s also not married and in a departure from the show, he doesn’t have daughters. Jefferson does, however, still have a very big problem by the name of Tobias Whale. But Black Lightning’s notorious adversary has gone through some redesigning as well. He’s now fit, built like an athlete, and he’s no longer an albino. But don’t think it’s made Tobias Whale any smaller of a problem for Jefferson or the city of Cleveland, in which the series is based. He’s as ruthless and powerful as ever. With Black Lightning’s CW series set to bring more awareness to the groundbreaking character than ever before, the timing has never been better for Lightning’s return to the DC Universe. Cold Dead Hands promises to be a fitting introduction to the world of Jefferson Pierce for new readers and a very welcome return for longtime fans, penned by the man who knows the supercharged hero better than anyone. The first issue of the miniseries will be released November 1, 2017. The full solicitation text can be found below as well as some preview pages! All-new mini-series by original creator Tony Isabella teamed with superstar artist Clayton Henry! Black Lightning is back and things are not the same! In his home town of Cleveland, high school teacher Jefferson Pierce is a role model for his students. As Black Lightning, he’s fighting to keep them safe, even as his city’s streets are invaded by local gangs with deadly super-weapons. And wait until you see who their supplier is! Real-world issues in a super-hero world! Expect the unexpected!